Google Analytics…just saying those two words strikes fear in the hearts of many bloggers. After all, numbers can seem scary, especially if you’re more of a creative. Even so, it is important to understand your numbers, from site visitors, to pageviews, to link clicks. Your analytics paint a picture of your website and shows you where you can improve and what you’re already rocking. 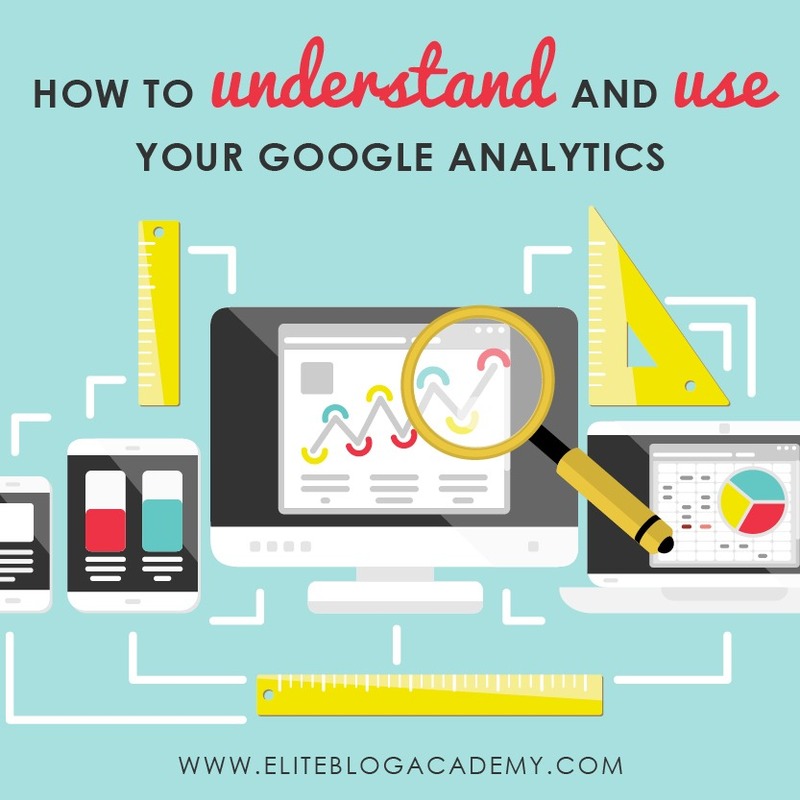 While Google Analytics is capable of generating a huge variety of reports, its main function is to help you to understand two basic—and essential—things about your site: 1. Where your traffic is coming from, and 2. Where your traffic is going. This provides a helpful breakdown of all traffic sources, including direct, search engine, social media, and referrals from other websites. This report shows traffic only from other websites and social media sites. This report on its own isn’t super useful, but if you click on any of the links (such as 1. Pinterest.com) you can see a breakdown of where the traffic is coming from on those particular referral sites. This breakdown is extremely helpful because it can show you exactly which pins are generating the most website traffic, which in turn lets you know which pins and posts are really resonating. If you are focusing at all on SEO, it’s also helpful to know which search engine keywords are generating traffic for your site. As we talk about in Unit 7, search engine traffic can also help boost ad network revenue, so knowing which pages generate the most amount of search engine traffic will help you know which pages to optimize for ad revenue or other monetization strategies. This report lets you see which pages on your site are receiving the most amount of traffic for any given period. This is helpful for knowing which posts are the most popular, which lets you know which posts you should be focusing on when it comes to promoting, updating, and trying to duplicate. While we’re sure there are many other reports we could be checking, these are pretty much the only ones that we personally pay much attention to, and they are all are related to knowing either where our traffic is coming from or where on our site that traffic is going. At the end of the day, Google Analytics is simply a tool to help us understand our audiences a little better. With a better understanding, we will be able to write and create the content that we know our readers will love.